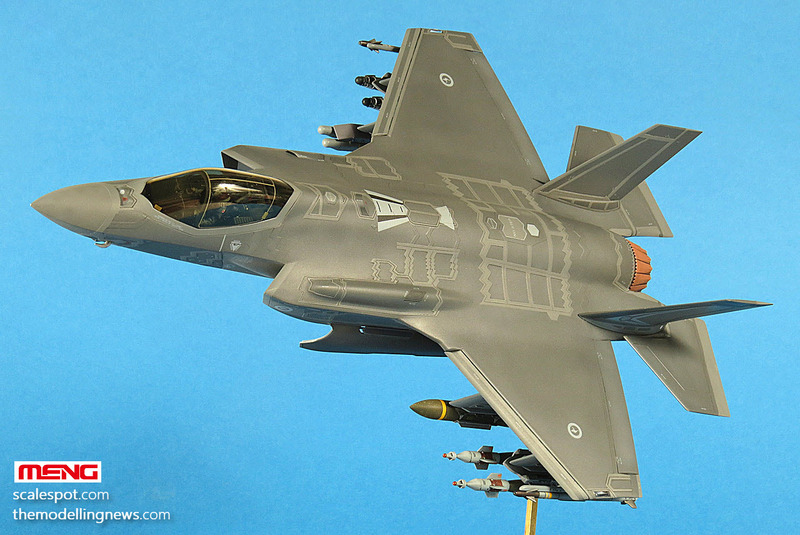 Gary has recently used the paint masks from Galaxy Models on his brilliant F-35 he made here on TMN. He has followed up this story with a review of some other new masks in this range from Galaxy. See what he thought of them in his in-depth look. 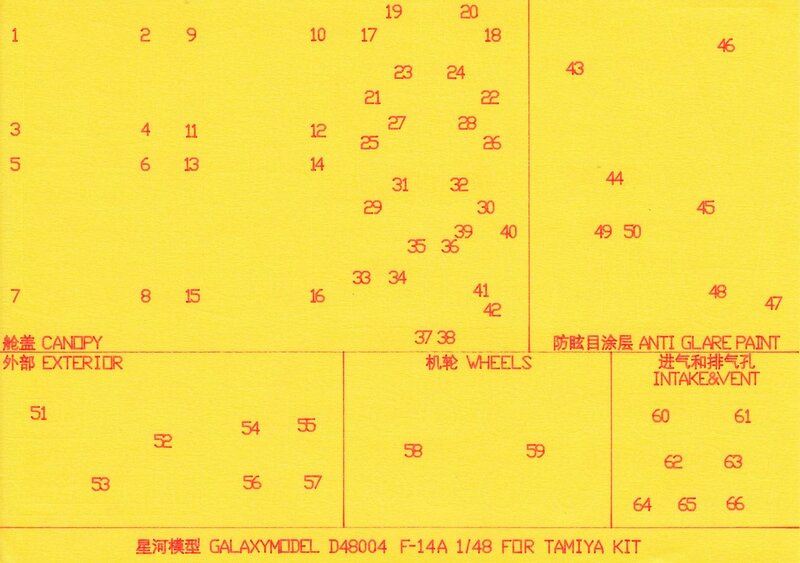 Galaxy Models are a relatively new Chinese based after-market company who are "aiming for the finest masks, decals and other accessories for your plastic scale models." 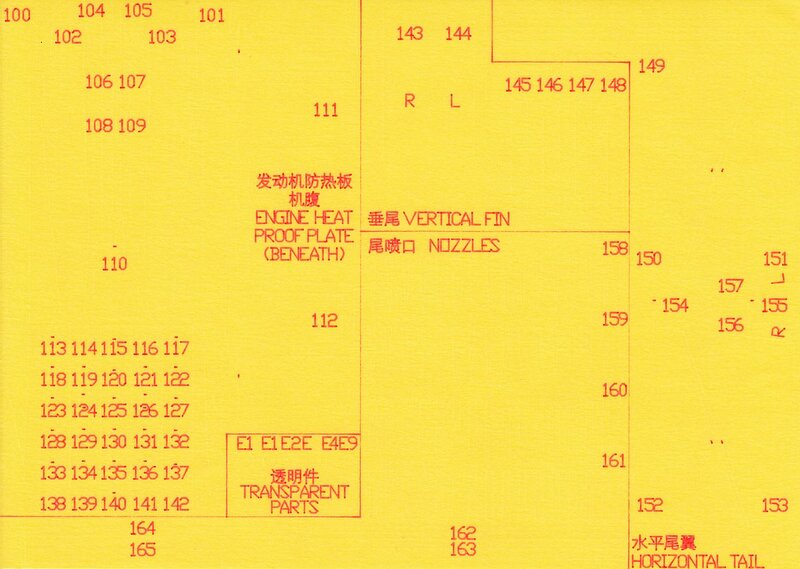 The first of their products that became widely known as the masking set for the RAM panelling on the new MENG F-35A kit in 1:48 (D48003). 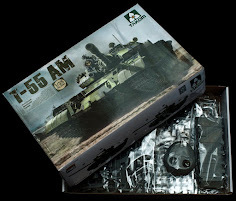 It was via the purchase and use of this set that I personally became aware of Galaxy during my Meng F-35A build here on TMN. 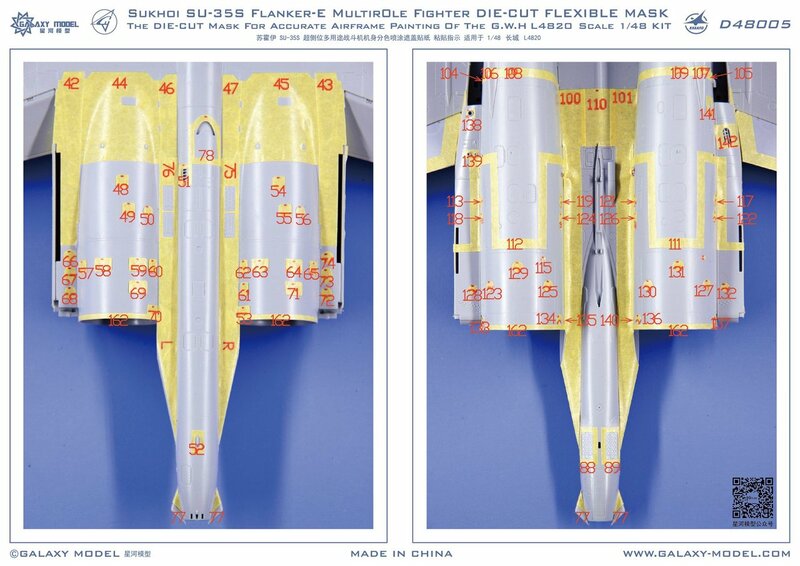 I was extremely happy with the quality and accuracy of the "Kabuki" paper, die cut masks when using them on my F-35A. 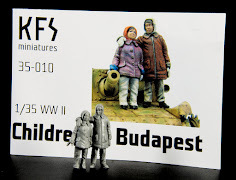 They saved me hours of painstaking work and I was more than happy to recommend them to anyone undertaking that kit. 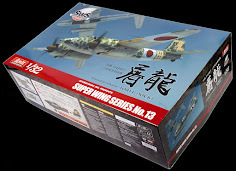 Since the release of that F-35A set (D48003, not sure what happened to 48001 and 002), the team at Galaxy have been busy working on new masking sets designed for two of the most popular 1:48 jet aircraft kit releases in the last 12 months, namely the amazing Tamiya F-14A Tomcat (D48004) and the more recent Great Wall Hobby Su-35S Flanker E (D48005 and 006). 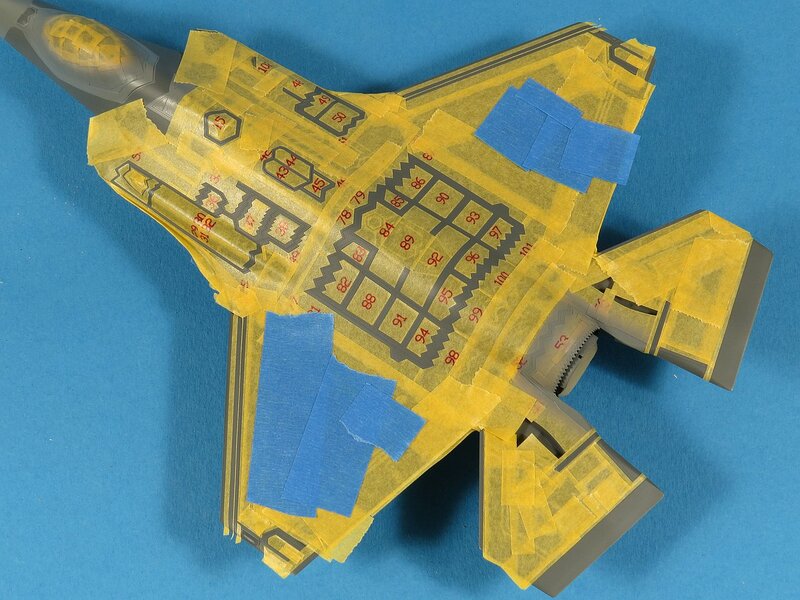 This set is by no means as large as the one I used for the F-35A RAM panels but it still comprises 129 separate masking pieces over two A5 sheets of yellow kabuki tape. Galaxy has carefully gone over the Tamiya F-14A kit and provided a mask for many of the awkward shapes found that at some point a modeller will need to mask off. 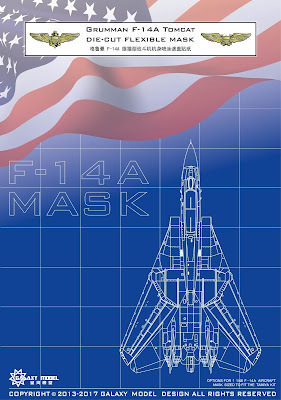 A great example of this is the outline mask for the base of the two vertical fins. This looks like a nasty spot to mask by hand with all those curves and cutouts. 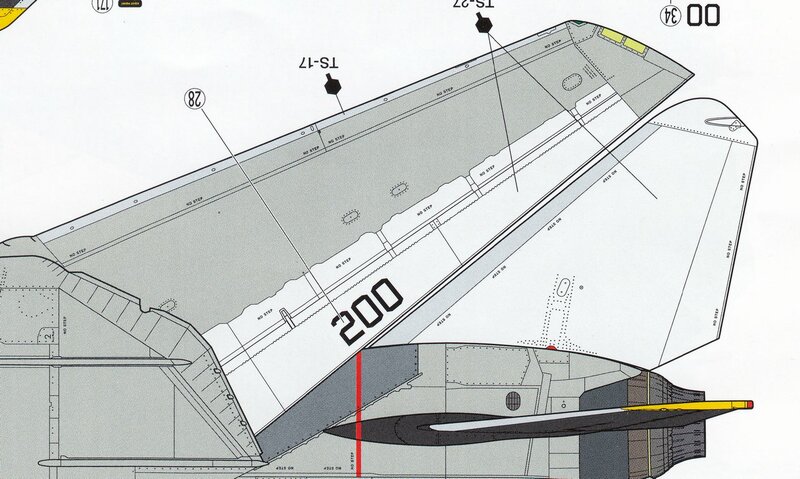 I personally don't think that the walkway and VF-2 style anti-glare panels are hard to mask (being basically just straight lines) but having them on the sheet is just another small time saver (something all we modellers could do with I'm sure). 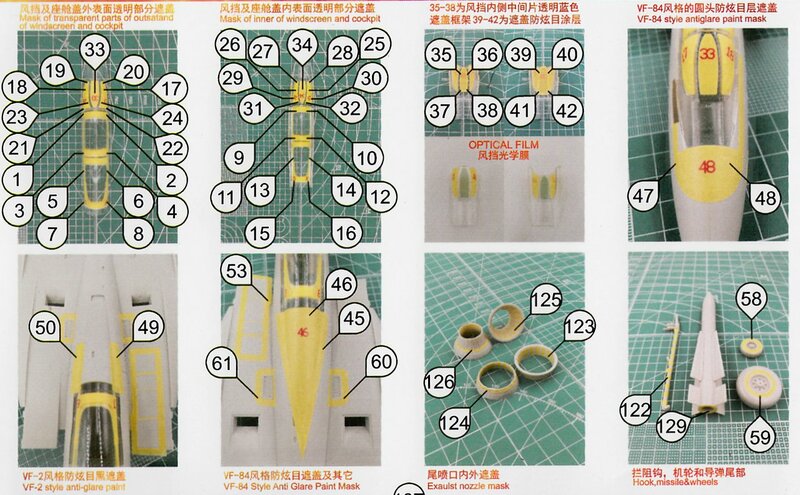 I'm really glad to finally see masking sets coming out that cover the interior of the canopies. 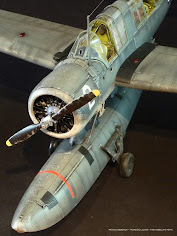 I've always masked off and painted my canopy interiors but it can be time-consuming and tedious work in 1/48 and smaller scales. 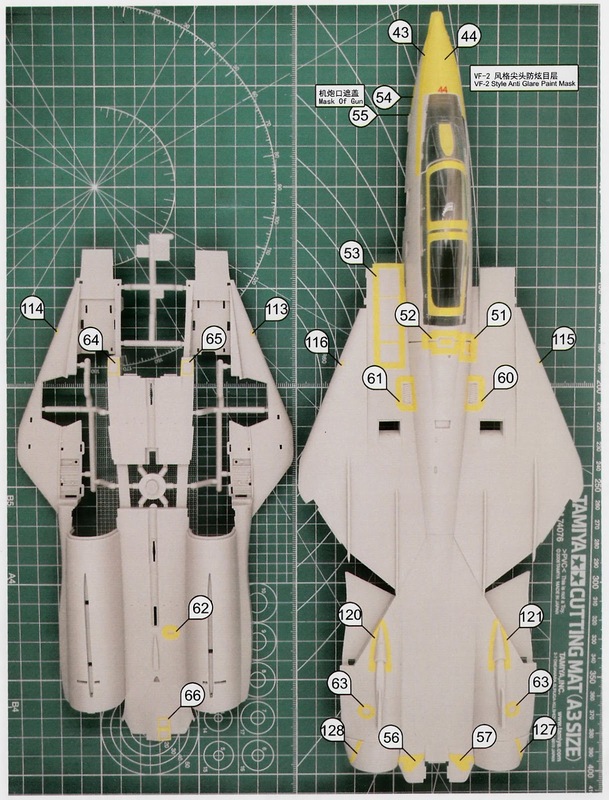 Curves are also a challenge for many modellers to mask accurately and luckily the F-14, in general, does not have a lot of painted curves but the VF-84 "short" style anti-glare panel is one very visible example. 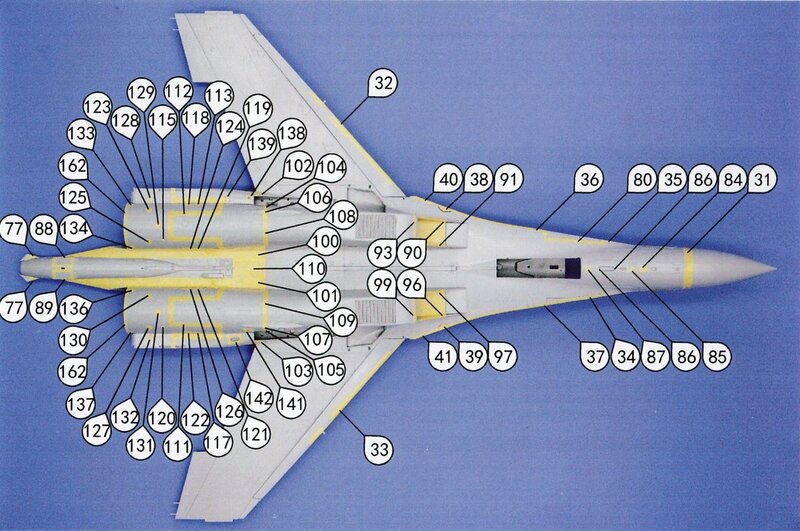 The wing of a 'hi-viz' F-14 Tomcat has some particularly tricky masking to be done along the forward edge of the spoilers. You can see this masked edge on the drawing below as the demarcation between the white and grey sections of the wing upper surface. 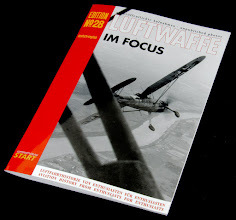 Likewise, the leading edges of the wing and elevators are un-painted being left in natural metal. 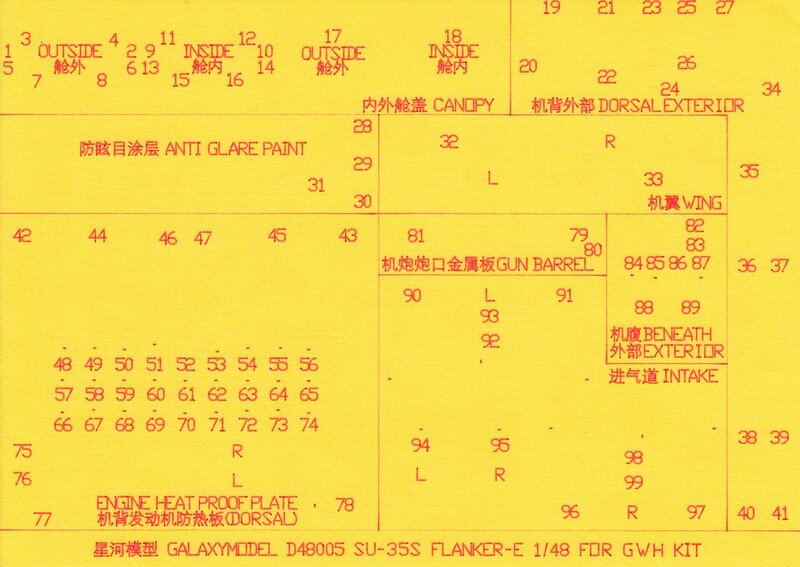 Galaxy provides masks for the spoiler masking and leading edges on their sheet. 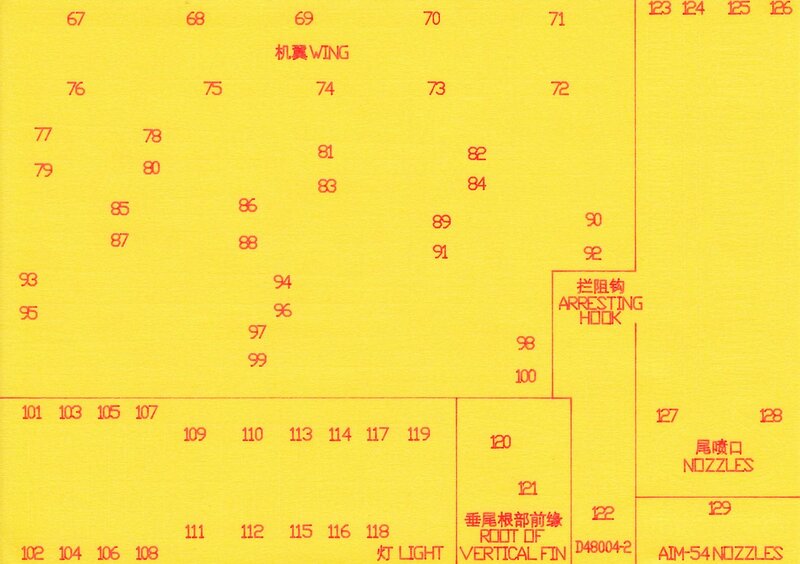 The sheets are well labelled and logically laid out on two A5 sized sheets of yellow kabuki tape. 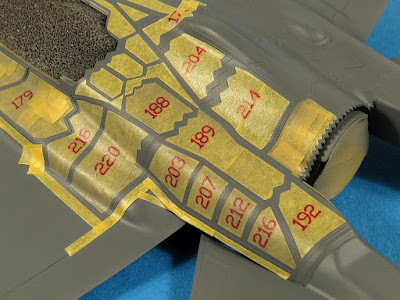 When using the F-35A sheet previously I found the die cutting process left a very clean cut and I had no problem separating the masks from the sheet. 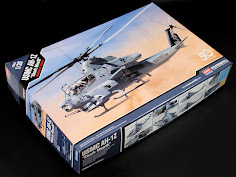 The tape itself felt and behaved exactly like Tamiya masking tape. When separating the masks from the sheet I often had to hold it up to the light to see the edges and then gently peeled the mask off using sharp tweezers. 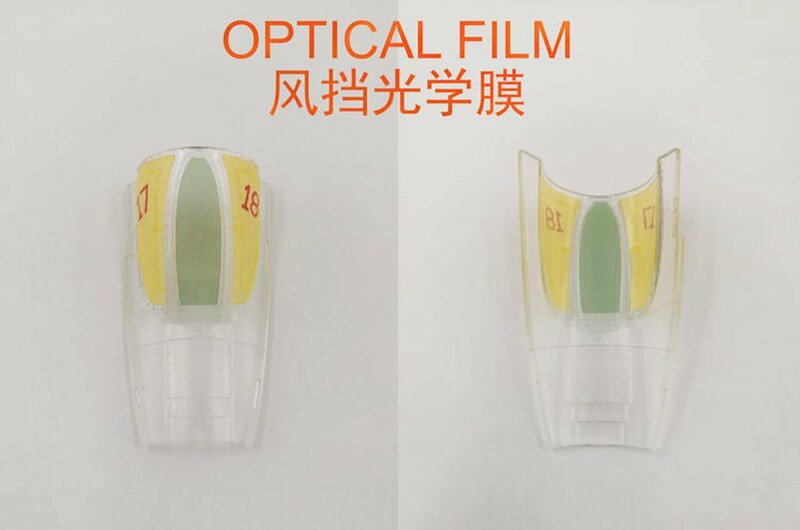 Galaxy also throws in a tinted clear 'optical film' pieces. 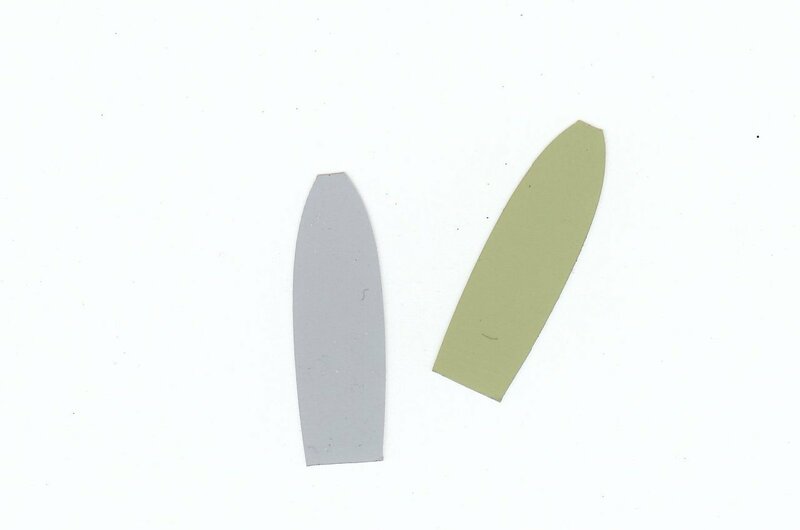 These felt to me like acetate sheet and have been pre-cut to fit the centre section of the Tamiya F-14 windshield. 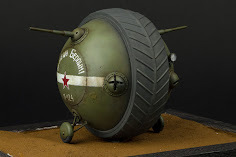 These could be a time-saver compared to masking and spraying tinted paint but I'm not 100% sure how you would go about securing them to the model as they are not self-adhesive. 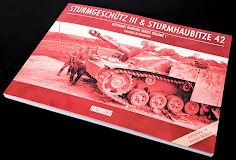 More research needed by me as I get closer to using them I think. This set is slightly larger than the F-14 set comprising 153 separate masking pieces over two A5 sheets of yellow kabuki tape. 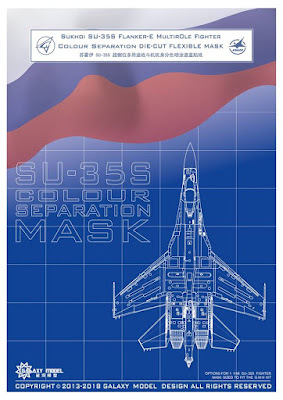 It's worth noting that Galaxy has now released two masking sheets designed for the GWH Su-35 kit. 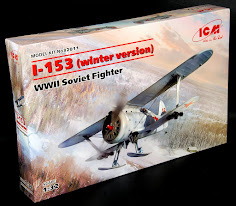 The bulk of this set is designed to handle the complex masking needed for the natural metal heat-resistant sections which surround the twin Saturn AL-41F1S engines on the rear fuselage. Mind you, that's probably a sensible thing as getting this part right on any Flanker paint job is a definite "make or break" for the finished model. 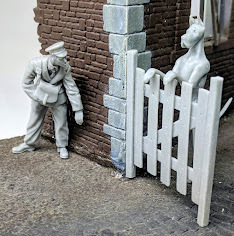 It's worth mentioning that Galaxy offer no paint guide to help you will colour selection, just masks to allow you to mask off quickly and cleanly when you get to painting this area. 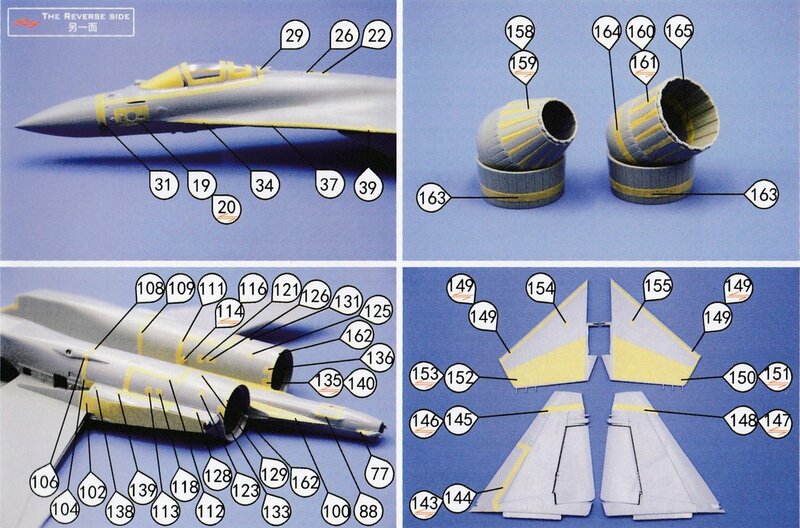 The layout diagram shows the placement for each and every one of the masks for the top of the model. 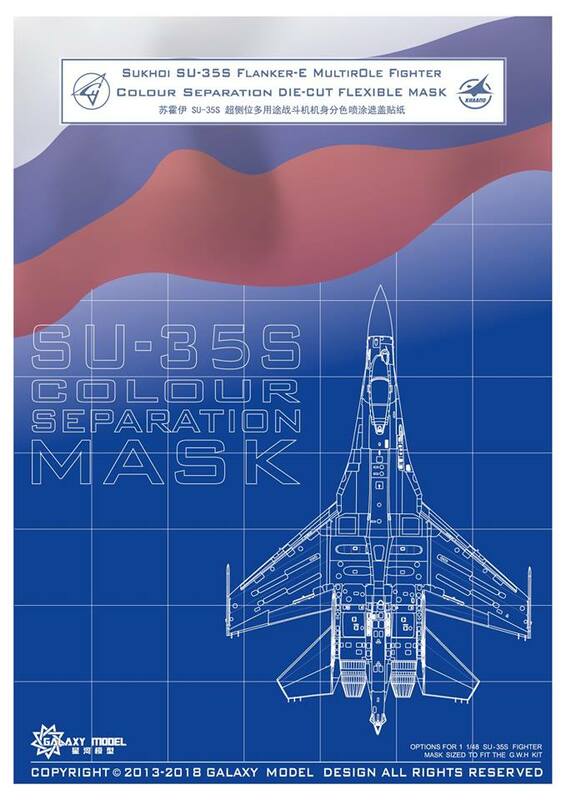 I'm not even sure if each of these masks is appropriate for every operator of the Su-35S so as usual be sure to do your own research before applying paint. 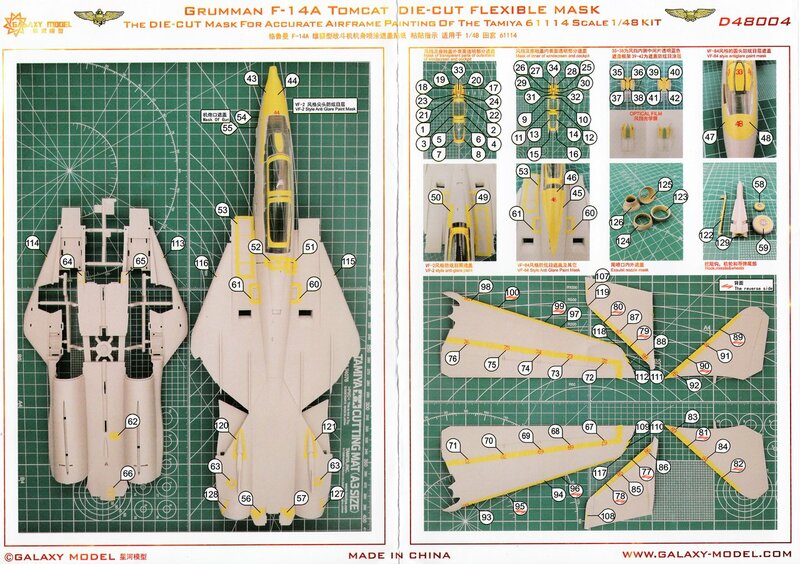 Like the F-14A masking set, masks are provided for both the inside and outside of the canopy framing. 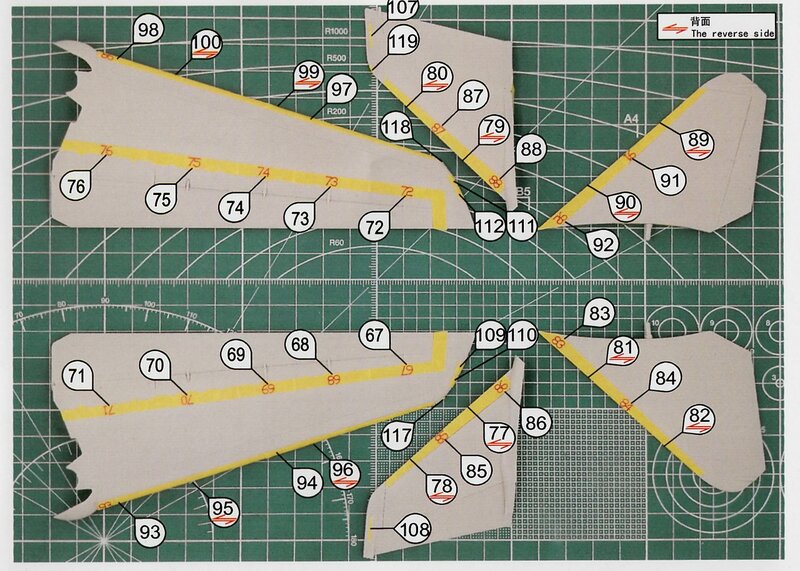 Pre-cut masks for the leading edges of the wing and LEX will be very handy. 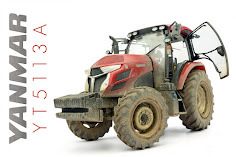 The bottom includes masks for the intake interiors and the lower panels of the heat-resistant shielding. 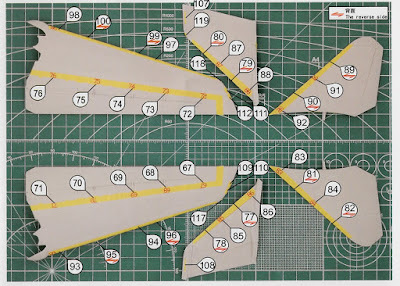 It looks quite daunting when you first see the sheer volume of masks for such a small area but as I found with the F-35, take your time and work methodically around the sequence and it all goes pretty smoothly (and quickly). Mind you, in these engine areas you won't be applying all these masks at once. 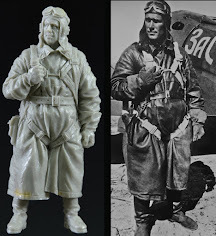 You will need to check photos and layer the masks to build up the range of natural metal colours. 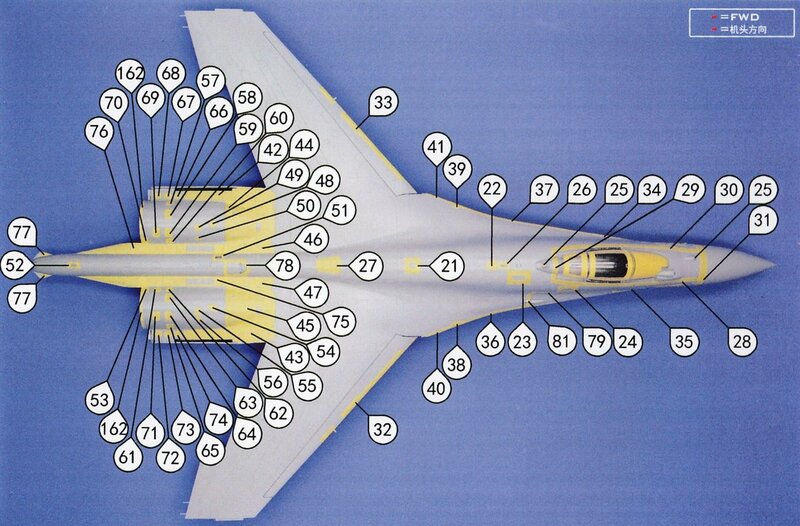 Here we see a side view to help visualise the placement for the myriad of masks at the rear of the airframe. 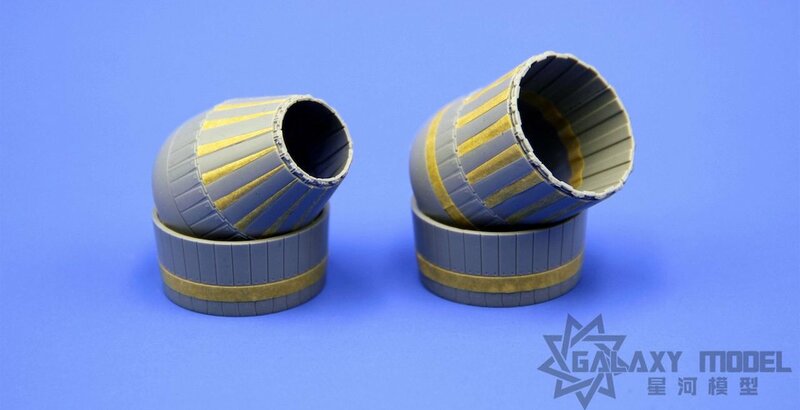 In addition to the engine sections, you get masking for the distinctive variable geometry nozzles of the Su-35S as well as the vertical fins and horizontal stabilisers. 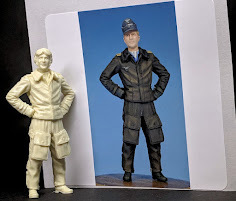 Often times when I first review a new product or kit I have to take much of it on faith (how well a kit fits, for example, can only really be determined by actually building it, not just looking at or measuring it). 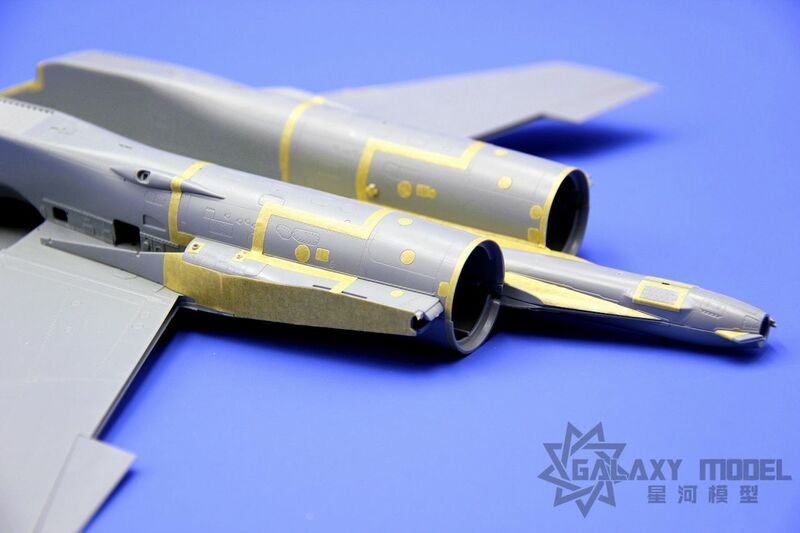 In the case of Galaxy Model mask sets, however, I have very much put them to the test during the build of my F-35. 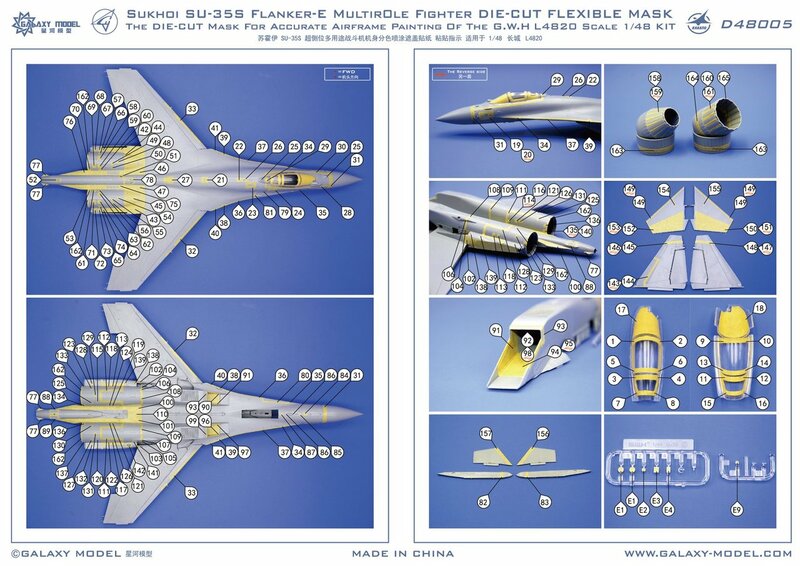 I was totally impressed with that mask set and have no reason to believe that their follow up F-14A and Su-35S sets shown here will be any different. 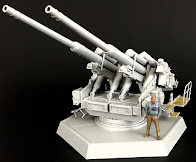 Many thanks to Galaxy Models for the review sets. 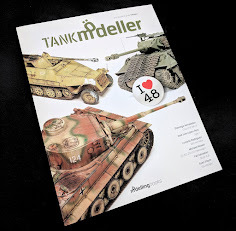 Keep an eye out for my road test in upcoming builds. 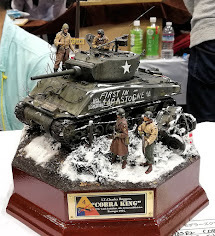 To see more of Gary's work check out his website scalespot.com or look him up on the Facebooks.